Bob Goettsch brings 46 years of experience to the title industry, 39 of which have been with Stewart Title. 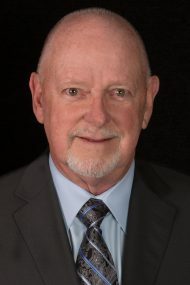 Having started in 1972 with Camelia City Title, Bob began his career by doing the company’s recordings and physically obtaining tax records on all files at the downtown Sacramento office. Soon after, Bob began doing searches and examinations before eventually becoming a Production Manager in 1976. When Stewart Title of Sacramento was founded in 1979, Bob made the move and became an assistant to the Chief Title Officer at that time. Through proficiency, professionalism and hard work, Bob became Stewart’s CTO in 1986 and has held that position ever since. Located in Carmichael, his responsibilities with the company are to track every title order that comes into the company from its inception to the point where a preliminary title report is issued. Additionally, he oversees the status of title for all transactions where clearing up title is needed and is a liaison to escrow on all of those existing files. Whether assisting Escrow Officers, solving title problems, or communicating with attorneys who seek the necessary solutions to complex issues, Bob Goettsch exudes loyalty, reliability, and is an integral part of Stewart Title’s blueprint for long-term success.